Zakat Foundation of America team traveled to New Mexico with the intentions of assessing the situation in the Navajo reservation camp. 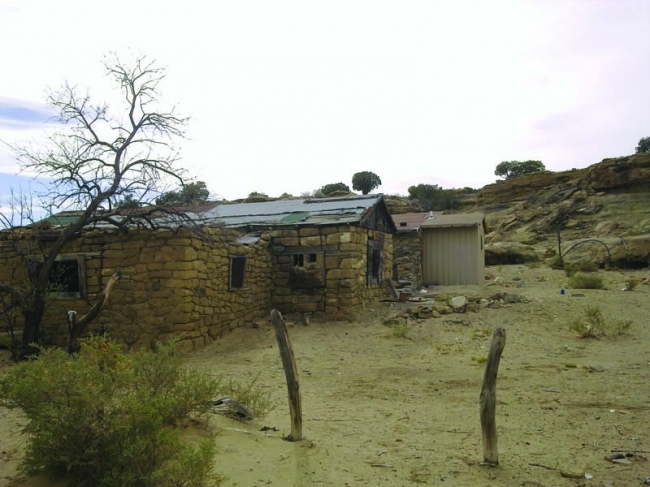 The situation on the Navajo reservation camp was similar to a war torn country. There was no running water or electricity. The access to food was nearly a 30 mile walk. Little did I know how the degree of famine that the people were subjected to. Mr. Demir and I sat in on a weekly community meeting. Mr. Demir was then asked to stand and say a few words, “The Navajo culture is rich and must be preserved, and if the history books will not tell your story, you have that obligation to do so.” After a few inspiring words, the ceremony began. We passed out meat packages and rice and beans to last for a month at least. We then provided the 30 sum Navajos families with a fulfilling three course dinner from the sheep that were slaughtered. It was certainly a moving experience.